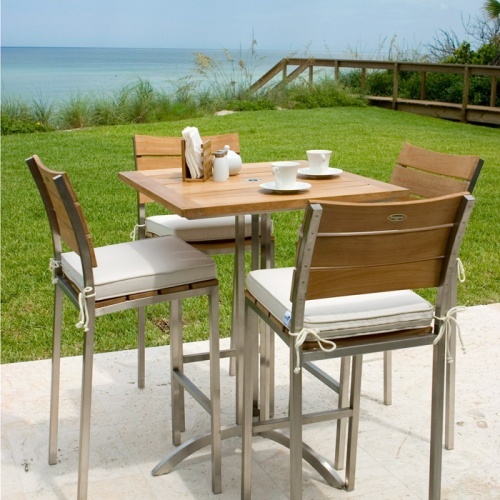 The Venezia outdoor bar set has a sculptured stainless steel pedestal table complimented by (4) Venezia bar stools to complete this lovely outdoor bar set. 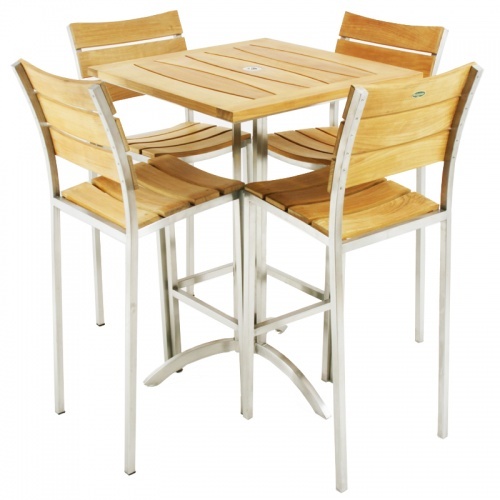 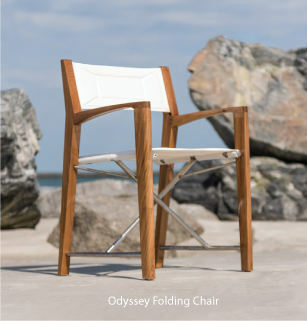 The strength of steel joined with the hardness of teak are combined to make a formidable long lasting outdoor bar set. 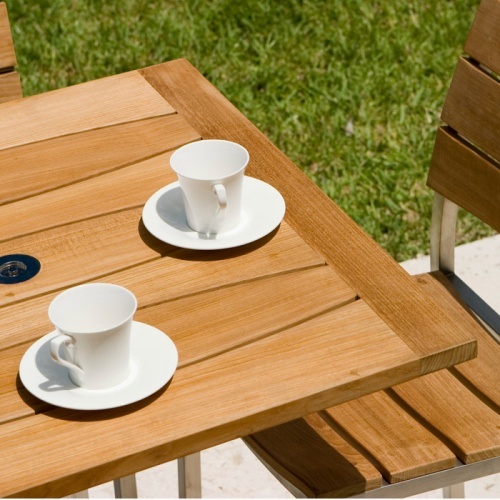 The table top on this handsome outdoor bar set is artfully crafted in simplistic style. 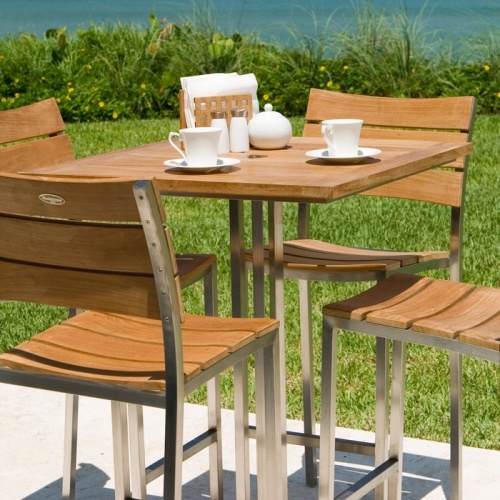 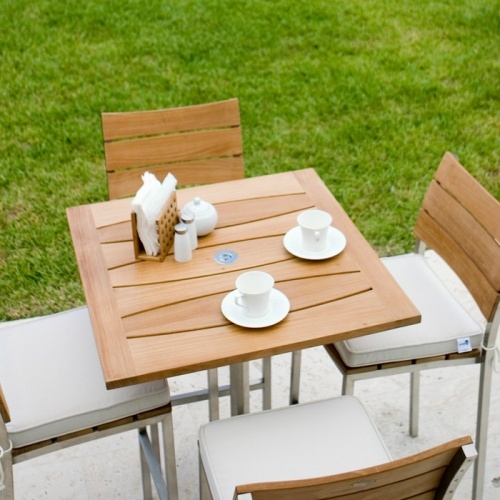 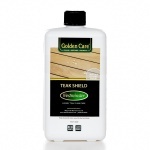 At Westminster Teak, all of our outdoor bar sets are built with pride and confidence for generations to enjoy. 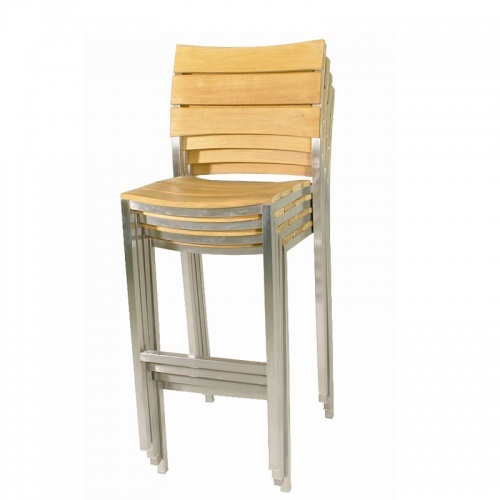 The Venezia outdoor bar set is manufactured to a standard that is suitable for commercial or residential purposes.